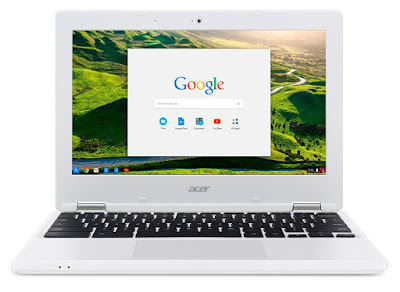 Chromebooks run on Chrome OS (Google's operating system) and to have the best user experience, you should have a working Internet connection and a Google ID to access Google's suite of applications (Drive, Gmail, Docs etc.). You could log in to the Chrome OS as a guest user but you wouldn't have the best experience. If you're a student, blogger, light computer user who does mainly Internet surfing or just someone who needs a light, portable device while you sit at Starbucks, then a Chromebook is for you. For most people though, the Chromebook is great as a secondary computer but not a primary one. Write emails. Gmail Offline is built to support offline access, allowing mail to be read, responded to, searched, and archived without network access. Gmail Offline will send your messages as soon as Wi-Fi is available. View appointments. With offline access from the Google Calendar app, you can view a read-only version of your calendar. View, create, and edit documents. The Google Drive app lets you view and edit Google Docs, Slides, Sheets, and Drawings files. View and edit photos. Your Chromebook comes with a built-in photo editor, so you can view and edit photos that are saved to your Chromebook. Listen to music. You can play music stored on your Chromebook when you're offline. Copy music files to your Chromebook directly from a storage device like a USB stick or SD card. Watch videos. You can download movies and TV episodes to watch offline with the Google Play Movies & TV app. Learn how to download videos on your Chromebook. View Microsoft Office and Adobe .pdf files. You can easily use your Chromebook to view Microsoft Office or Adobe files without an Internet connection. Take notes. With Google Keep, you can take and save short notes that will save to the cloud the next time you're online. Read offline web pages. If you've saved web pages for offline viewing later, they will open in Google Chrome on your Chromebook. Use other web apps. Some web applications also have offline counterparts, which you can find in the Chrome Web Store. These include The New York Times and Cloud Reader from Amazon. Play games. The Chrome Web Store offers hundreds of games, many of which are also available offline, like Angry Birds and Cube Slam. So if you're going to be doing a lot of typing and general web-surfing, including Facebook, Twitter etc. 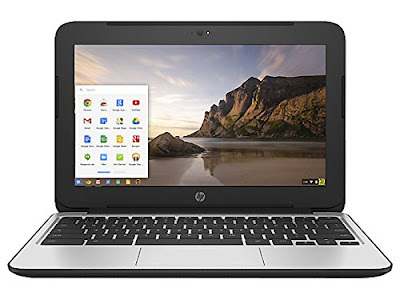 or simple games from the Google Play Store, then the Chromebook would be a good choice for you. But the Chromebook's not for everyone and that's why we recommend it as a secondary PC rather than a primary one. If you need a PC for some serious gaming, photo-editing or even Skype, then you'll need to get a regular Windows laptop. 1. RAM: 2GB of RAM used to be the standard amount of RAM for most Chromebooks but the newer Chromebooks come with 4GB. There's not much difference in price now, so it's better to get the 4GB option. 2. 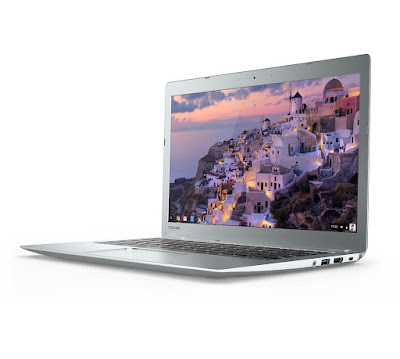 CPU: Intel Celeron and Core i3 processors are common for Chromebooks. While they're not going to set the world alight in terms of their processing capabilities, given the lightweight nature of the Chrome OS, they should be more than sufficient to handle emails, watching movies and simple games. If you need faster processing, choose the i3 over the Celeron. 3. Storage Space: 16GB is the minimum for Chromebooks and should be more than sufficient for most users given that most of your documents would be stored on the cloud anyway. If you need a bit more offline storage, the newer models come with 32GB of hard disk space as well. 4. Screen: The first generation Chromebooks came with a 11.6 inch screen, making them really portable and suitable for children. The tiny size makes it hard to use them for anything other than typing and basic web surfing. There are bigger options now, like the Acer C15 which as the name suggests, comes with a 15 inch screen. A much better option if you plan to use your Chromebook for watching movies on the go. It isn't just the size of the screen that matters. It's important to pay attention to the screen resolution as well. For most tasks like typing emails and ordinary surfing, the 1366 x 768 pixel display found on most of the lower end Chromebooks will do just fine. However if you're going to be watching videos and looking at pictures, you might want to get a Chromebook that supports a full HD display (1920 x 1080 pixels) instead. The price of sharper images is around $50. 5. Weight: You want something light for when you're on the go. The Chromebooks with a 11.6 inch screen should weigh around 2.4 lbs (1.1 kg) while the bigger 15.6 inch screen models weigh twice as much at 4.8 lbs (2.2 kg). Apart from the above 5 specs, there are a couple of other factors to consider when choosing your Chromebook. These include the price, the average customer rating (Amazon is a good source) as well as the general customer reviews. The general customer reviews give a good indication of the aesthetics and functionality of the device. If it has got good ratings, chances are that the functionality and design will be alright for you. This article gives a summary of some of the more important points to consider when choosing your laptop. If you need a good secondary computer, you can't go too wrong with a Chromebook given how affordable they are.